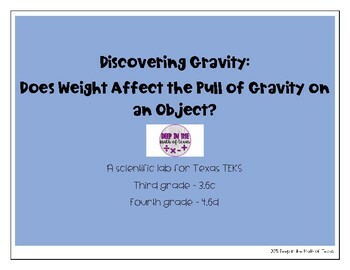 Discovering Gravity: Does Weight Affect the Pull of Gravity on an Object? 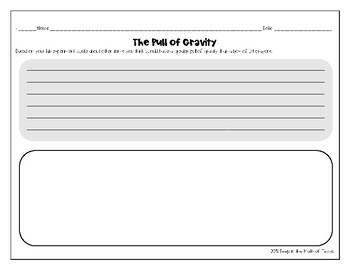 Students will participate in a hands-on experiment involving gravity and the pull it has on objects. 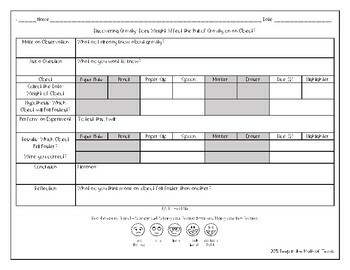 The experiment is organized using the Scientific Method. Students will weigh objects and hypothesize which object will fall fastest and record the results. Make this more fun by letting students stand on chairs and dropping their items! :) Also include a writing extension. 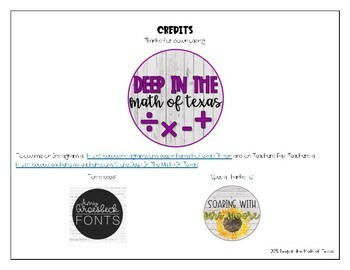 Applies to third grade and fourth grade Texas standards (TEKS 3.6c and 4.6d).